School is finally over, but what are you going to do now? Don't let your boring day gets you down! 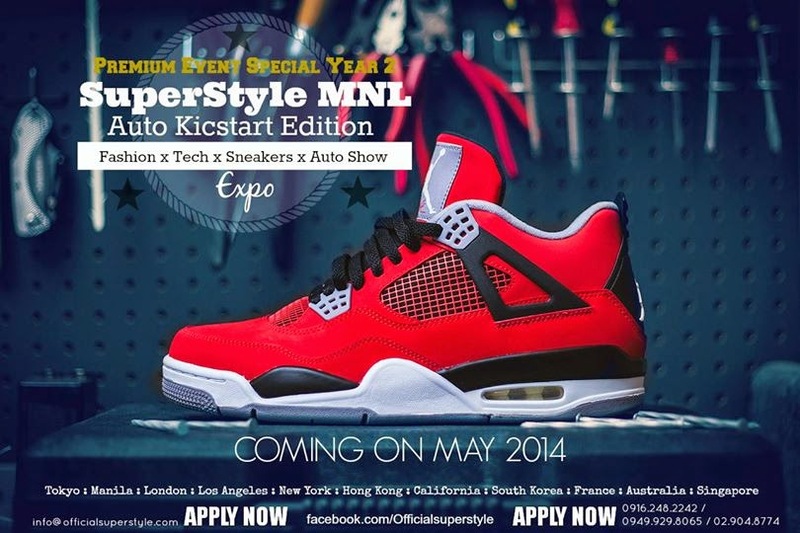 Kick yourself off to the most exciting bazaar this summer: The SUPERSTYLEMNL Auto Kickstart Edition 2. Bring your friends, love ones and family together and celebrate with us as Fashion and Cars Collide. Enjoy a 3-day full of surprises and raffles to be given away, autokickstart autoshow, exhibits, contests, special performances and much more. PLUS: You can catch your favorite Style Bloggers LIVE! Meet and Greet them as they showcase their lovable items on the event. It's a great way to make new friends too. 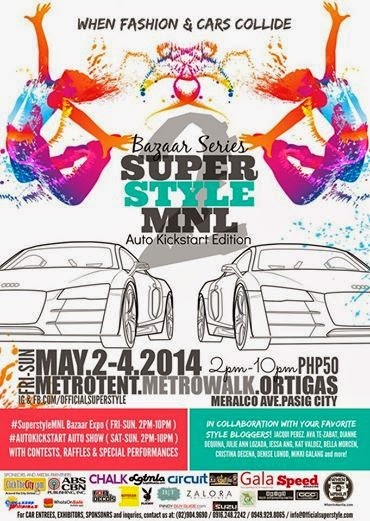 Hang out around the Metrowalk, Metrotent, Ortigas coming May2-4, 2014 from 2PM - 10PM . SEE YOU THERE! Visit SUPERSTYLEMNL Bazaar Fan Page HERE. Great information thanks for sharing doll. I wish I could be there!! Happy weekend!